Multistage centrifugal pumps type VCP are intended for delivery of clean and slightly unclean cold and warm water up to 105°C, cold oils, liquid fuels etc. 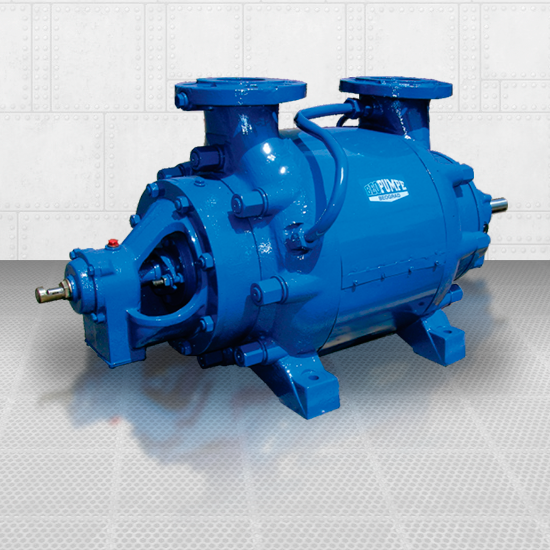 VCPV type pumps have the possibility of cooling the packings because of higher temperatures of the working medium, and they are used for transport of hot water up to 130°C. For public and industrial waterworks, as boiler feeding pumps , for artifi cal rain, firefighting, for irrigation and drainage, in pharamaceutical, food and chemical industry etc.